Today is July 25th. I like to call it Christmas in July. 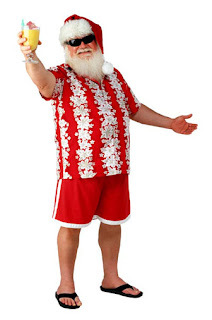 If this really was Christmas in July, I would have opened my presents last night. Santa comes early to the Bonkowski house because my sister and I are super good. Below is a list of things I wish I was opening today. Flower Power: One time reader J. Bo actually included this item on her birthday list (Bonkowski girls love lists), but now I am stealing it. 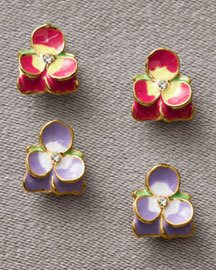 These Juicy flower earrings are just too cute. Earrings are a great investment for me because I seriously wear a pair daily. Tetris Handheld Gold: Brady can confirm that my handheld Tetris was one of my favorite Christmas 2007 gifts. This model takes things up a notch with color! I am sure this would keep me away from the airport bar next time I am stuck! Bellissimo Bocce: Walking on the lake path this week, I witnessed some kind of Bocce Tournament on the beach at Oak Street. This made me ponder: 1. why wasn’t I invited and 2. 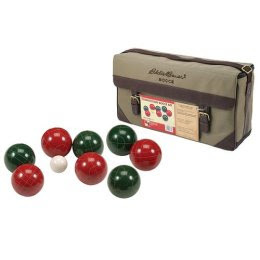 I really need a Bocce Set. A quick internet search reveals these things are pricier than I thought, however, I would like the $49 set from Target. With one of these babies, I can crash the next beach event. Sleeping Beauty: You know you are getting old when you start to ask for house-wear items for Christmas (or over 25 and not married). I’ve been giving my bedroom a mini-makeover this month starting with a new duvet cover and pillows. Rather than buy a new mattress (which I am in need of), I think my sleep would improve with a Feather Bed. You can find these at Macy’s, BBB and almost any place that sells bedding. Crusin’ European Style: In college, 40 percent of me wanted to study abroad. Now that I am older, it’s something I 100 percent regret. I know my dad would have b*tched about the cost, but I totally could have taken out a loan and pay it back. Well that’s the past. Looking forward, I am really itching to go to Europe. I think the best way for me to travel there would be a cruise. 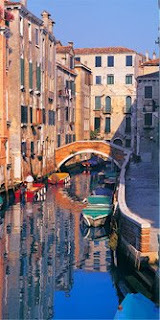 I found one on Carnival that takes you to some of my top desires – Italy, Turkey, and Athens. Of course if you buy this for me, get yourself a ticket too!